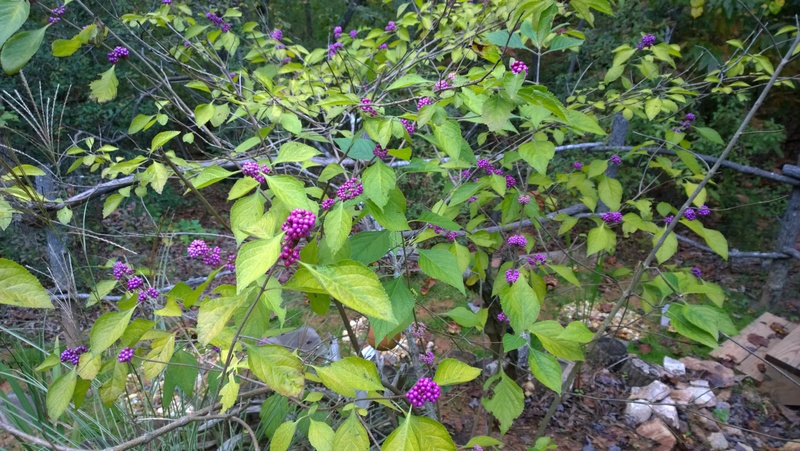 Say hello to Callicarpa… otherwise known as American Beauty Berry or French Mulberry. She’s a deciduous woody shrub in the Dead Nettle, or (Lamiaceae) family. Blooming in Early summer with rather non-descriptive flowers, the Beauty Berry show begins with – what else – the berries. 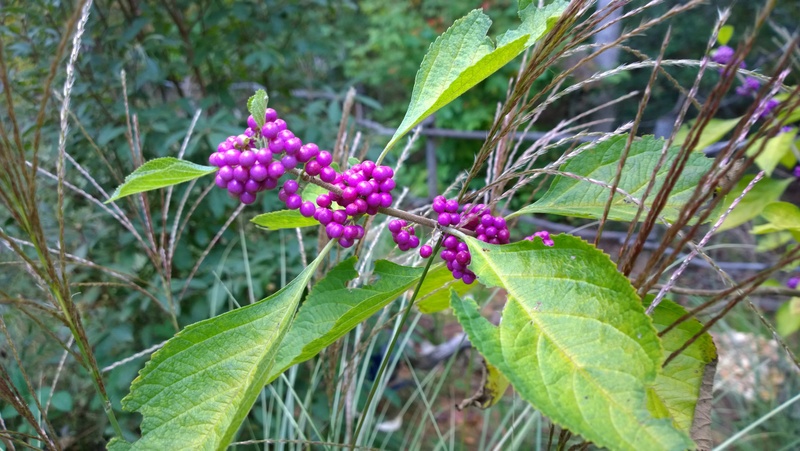 Beginning in Late September, the berries begin to swell and gradually turn from milky green to violent purple. Although the berries are considered edible, the severe astringent nature of the fruit makes them unappetizing to birds and other animals – so typically you can count on the show continuing well into November. Once the berries turn, the leaves transform to a brilliant yellow just before dropping from the branches – leaving you with stark,smooth dark branches and a riot of purple. Even with the astringent berries, the fruit can be made into wine and jellies (sometimes referred to as “Autumn Berry Jam”), which can be a slightly grainy but flavorful preserve. 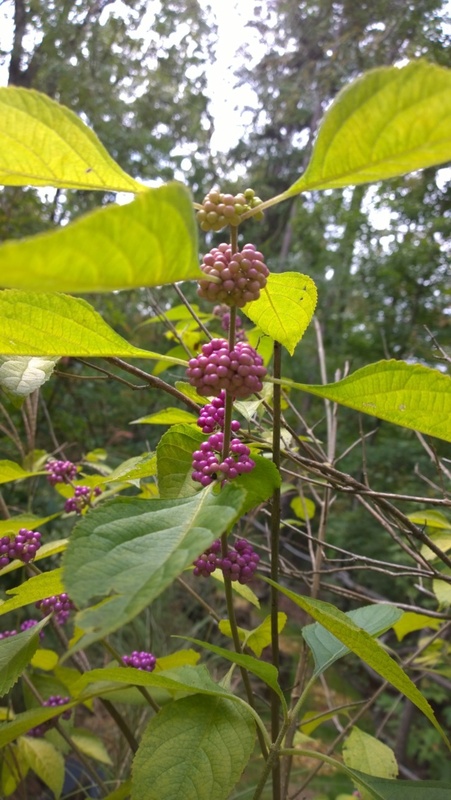 However tasty the berries may or may not be, the Beauty Berry Shrub is best known as a mosquito repellent. 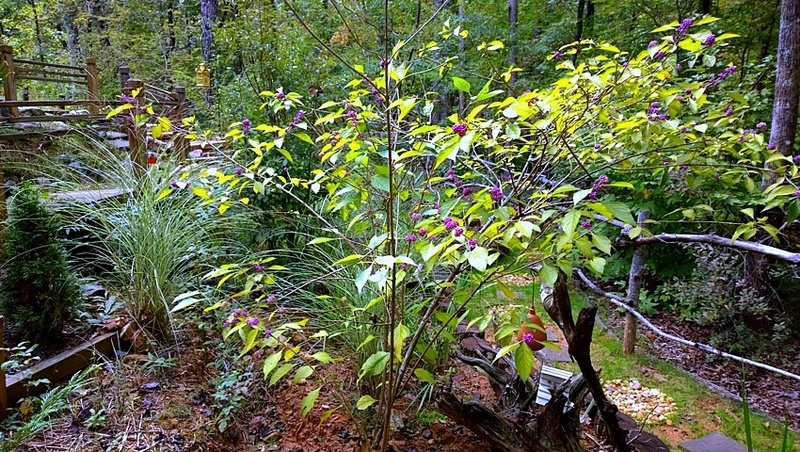 Long used as a folk remedy for pesky insects, there are four chemicals in the shrub that have been established as an insect deterrent and two have been patented by the USDA. Dad gave me one when I had the house and it had the purple and also white berries on it.